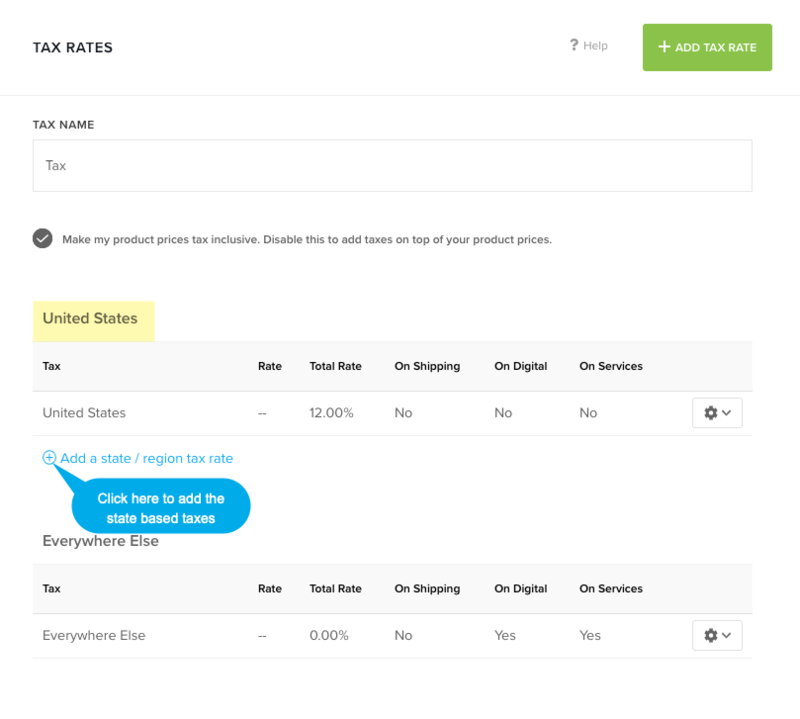 Pixpa allows you to create tax rates for all the countries and state/regions (US and Canada only). You can apply the tax inclusive and exclusive both. You can also specify the tax whether it applies to digital/service products or not. 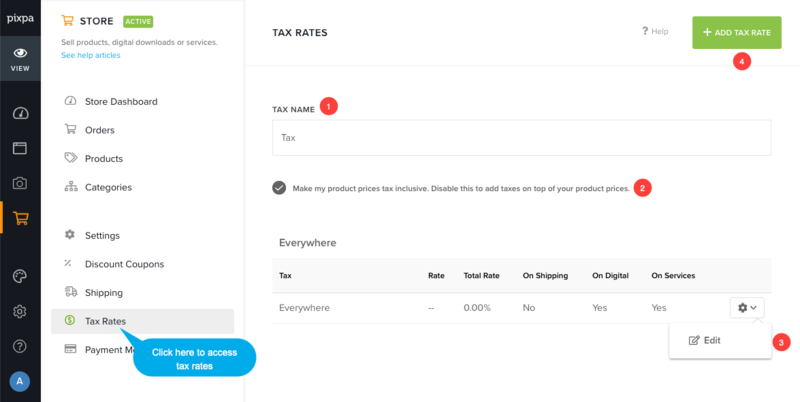 In the Store section, click on the tax rates link on left hand side. On this page, you would see all the tax rates. You can specify the tax name (1) and set the tax rate to inclusive or exclusive (2). You can also edit (3) any existing tax rates on this page. Or you can create a new tax rate for your country (4). By default, there would be an everywhere else tax rate list which will be applied to all the countries, if there is no any country-specific tax rate is available. 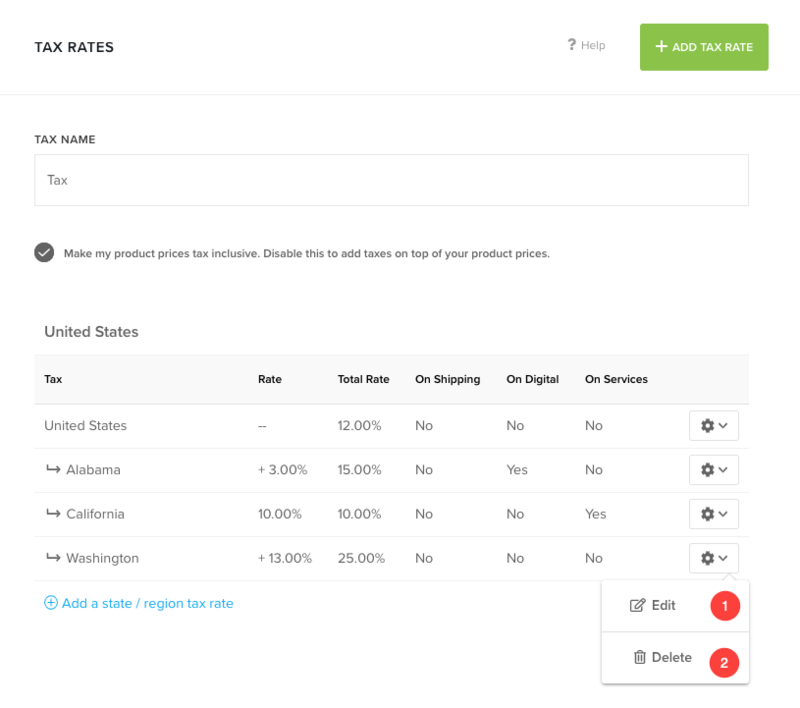 On the tax rate page, Click on Add tax rate button to create a new tax rate. 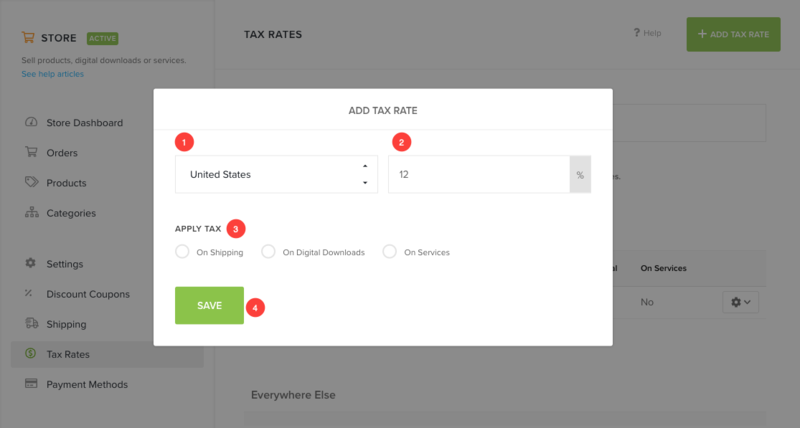 You would see a popup where you can select your country (1) and tax rate (2). You would also see the option (3) to apply tax on shipping or digital downloads or services. Hit save button (4) to save the new rate list. In the next step, you would see the new tax rate. Now add a state/region based rates to override the global tax rate, if you want to. 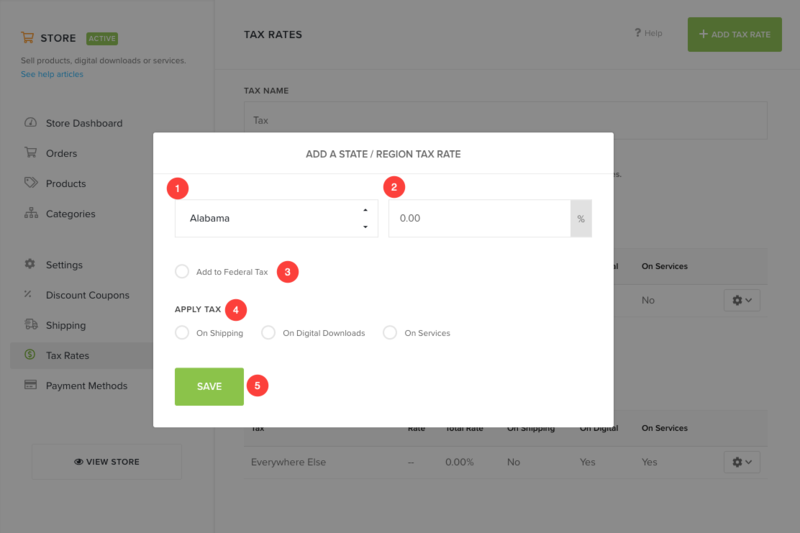 On clicking on add a state rate, You would see a popup where you can select state (1) and tax rate (2). You can apply this override tax either in addition to the global (federal) tax or separately (3). That would mean if the global tax is 12% and state tax (i.e., 3%) is added to federal tax then final tax rate would be 15% for that particular state. Or if the state tax is not added to federal tax, then the final tax rate would be 3% for that particular state. You would also see the option (4) to apply tax on shipping or digital downloads or services. Hit save button (4) to save the new state rate. After adding all state tax override, the final tax rate would be look like this. You can edit (1) or delete (2) any rate from the settings icon next to it.